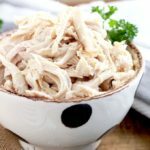 Instant Pot Chicken Wings made from fresh or frozen chicken wings, are super tender and juicy! Smothered in tasty Buffalo sauce and broiled until nice and crispy. 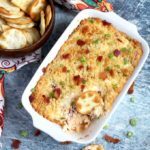 These Instant Pot Chicken Wings are the perfect easy appetizer to serve at parties, for game day or any time you feel like having a lip smacking hearty snack. 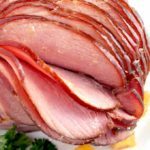 I love time saving instant pot recipes and the convenience of cooking proteins from fresh or frozen. 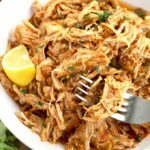 Just like when cooking Instant Pot Chicken Breasts, these Instant Pot wings can be added to the pressure cooker frozen and still be ready in little time. A trivet, or a trivet with handles or a steamer basket . Any of these work well, although the steamer basket is probably the best for the job. Instant pot wings become very tender and lifting them with the help of the steamer basket makes it easier. A baking sheet with a wire rack to broil the buffalo chicken wings! 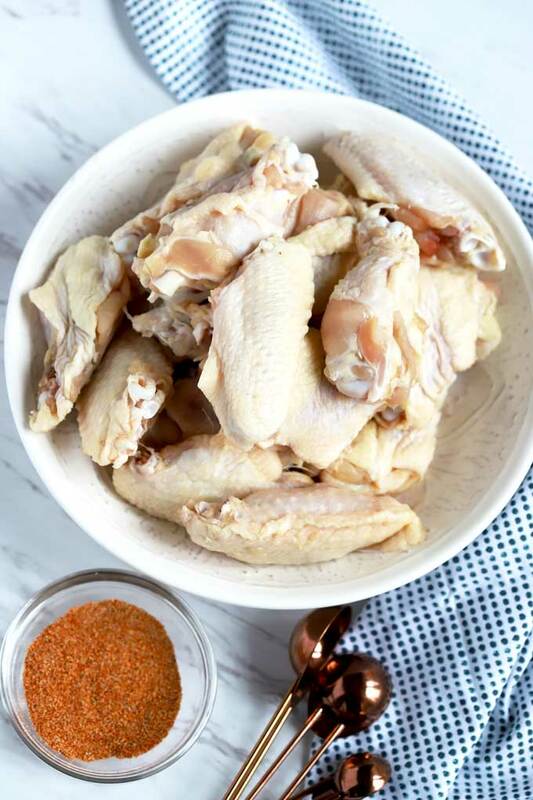 Season the chicken wings with the spice mix. Pour 1 cup of water or broth into the bottom of the instant pot. 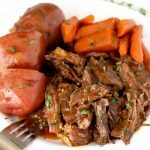 Place the trivet or steamer basket inside the pressure cooker. Place the seasoned fresh or frozen chicken wings on the trivet or inside the steamer basket. Close the lid and turn the valve to sealed. After the cooking is done, do a natural release pressure for 5 minutes. 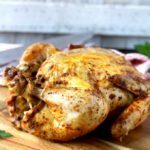 Release the remaining pressure and remove the wings from the instant pot. Toss chicken wings with half of the sauce. Broil for a few minutes or until golden on one side, then flip the chicken wings and broil the other side. Brush or toss with the remaining sauce. For frozen chicken wings, cook on high pressure for 15 minutes followed by a 5 minutes Natural Pressure Release. For fresh chicken wings, cook on high pressure for 10 minutes followed by a 5 minutes Natural Pressure Release. I must admit, Buffalo sauce is my favorite chicken wing sauce. 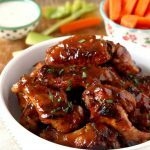 Although I have other favorites like these Honey BBQ Slow Cooker Chicken Wings, I always go back to my first love Buffalo Wild Wing Sauce!! 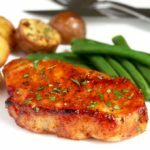 To make this Buffalo Sauce recipe, melt the butter in a sauce pan, stir in the hot sauce and honey and simmer for a few minutes. This recipe calls for 3 or 4 pounds of chicken wings. If cooking 3 pounds, you don’t have to use all of the spice mix if you think is too much. 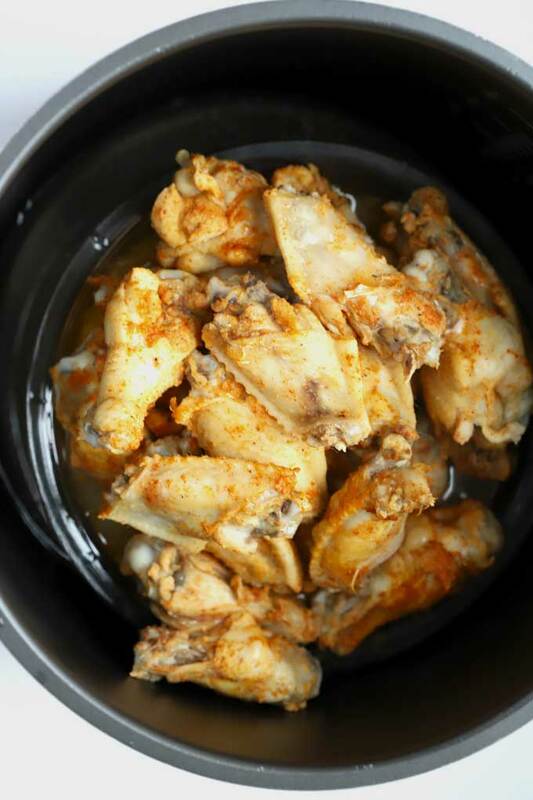 When seasoning frozen wings, the spice mix may not stick to the wings as well. It will still give them flavor. Broiling the wings is not required. The wings will be fully cooked out of the pressure cooker. The broiling is only to crisp up some of the skin. Feel free to use any spice mix or any sauce you want for your hot wings! Serve this amazing and super tasty Hot Wing recipe with your favorite Blue Cheese Dipping Sauce or Ranch! 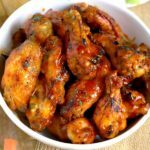 WANT TO TRY THESE INSTANT POT WINGS WITH BUFFALO SAUCE? 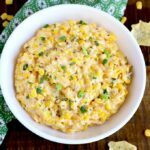 PIN IT TO YOUR APPETIZER OR INSTAPOT BOARD TO MAKE IT LATER!! Optional: If using fresh or thawed out wings, dry them up with paper towels. The seasoning mix will stick to the wings better if the wings aren't as wet. Toss the wings with the seasoning mix. Pour the water or broth into the inner pot of your pressure cooker. Place the trivet at the bottom of the inner pot. Place the seasoned wings on the trivet (or steamed basket). Close and secure the lid. Place the vent knob on the sealed position. For fresh or thawed out wings. cook on high pressure and set the timer for 10 minutes. In a small sauce pan over medium heat, melt the butter. Stir in the hot sauce and honey. Simmer for 4 to 5 minutes. Set aside. Turn on the Broiler. Line the baking sheet with aluminum foil and place a cooking rack on top. 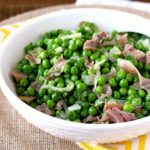 When the cooking has been completed, do a 5 minute Natural Pressure Release. Then release any remaining pressure. Open the lid and carefully remove the wings (they will be hot and tender). Place the wings in a large mixing bowl. Pour half the buffalo sauce over the chicken wings and toss gently. Place the chicken wings on the prepared baking sheet. Broil chicken wings for about 3 minutes or until golden and then flip and broil the other side. Brush the chicken wings with buffalo sauce and serve with any remaining sauce on the side. These wings look amazing! I love that you can cook them from frozen. Thanks for all the tips. Amazing! Love how easy these are! Thank you! I know super easy! For frozen or thawed out chicken wings, cook on high pressure for 10 minutes followed by a 5 minutes Natural Pressure Release.